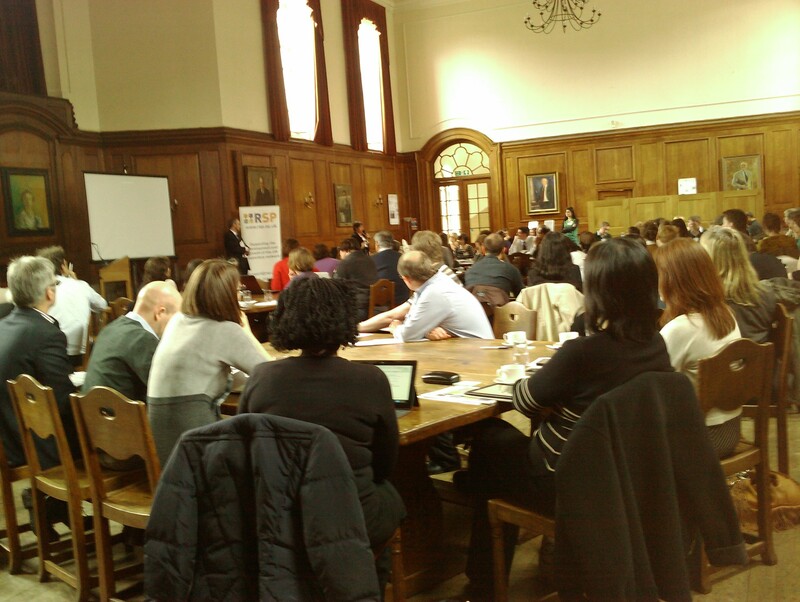 The Repositories Support Project (RSP) ‘Implementing Open Access Funders’ Policies’ event was held at Goodenough College, London, on the 23rd May. The striking venue of “The Great Hall” resembled ‘The Great Hall’ at Hogwarts School of Witchcraft and Wizardry, minus the Sorting Hat and Dumbledore (lots of wooden floors, tables, and portraits on the walls); instead it was filled with delegates who were in the main, from a diverse range of UK HEIs. At the refreshment breaks and lunch-time, delegates made the most of the chance to chat with one another to share thoughts about the presentations, make useful contacts, and exchange information about how they would implement the policies and ideas from the RSP event at their institutions. There were eight presentations, which explored issues related to open access funders’ policies, and discussed: the Finch report, RCUK policy, the Wellcome Trust’s policy, Creative Commons with a focus on the CC-BY, the Research Excellence Framework (REF), green and gold open access, mandated policies and how to comply with them, and metadata interoperability. All presentations were interesting and engaging, raising some pertinent questions and ‘food for thought;’ I was personally especially enchanted by Frederick Friend’s delivery and content, which was positive, encouraging and motivating with a very ‘can do’ emphasis throughout for IR managers. You can download all presentations here. An insightful account of some aspects of the presentations can be found on Stuart Lawson’s blog and a reference to the event has been made in Stephen Downes’s blog. Many people tweeted throughout the day (and often included helpful links to documents/websites and played ‘acronym bingo’). The most active tweeters were: @hmuir, @karajones, @lastic and @neilstewart; the most prolific tweeter though was certainly @SimonRKerridge, who kept up a useful commentary of the day’s details. All twitter feeds are collected in storify.